Music markets in Canada, the US, the UK, and internationally continue to change and adapt with each year that passes. As some trends come to rise, others lose their steam and inevitably fall to the wayside. The exercise of analyzing what continues to explode in popularity in the music industry marketplace, one comes across several key facts about the way the music industry is moving in 2018. Digital formats are representing a higher percentage of income for the artist. Digital sales have risen to as high as 60 percent of all music sales in some territories, resulting in the digital marketplace overtaking the industry by storm. CD sales peaked in 2004, digital album sales peaked in 2013, and streaming is dominating. More people are flocking to streaming services to consume music, resulting in other ways on consumption being on the downward slope. Digital singles peaked in 2012 and have been on the downward slope ever since. As CD singles are pretty much dead and digital singles being on the downward trend from a sales perspective, it is unclear how artists will continue to make money off of single releases as existing infrastructure continues to crumble. Music streaming continues to peak with each month that passes. Analyzing weekly audio streaming, the number of individual streams continue to rise with each month that passes, something that many in the industry already know. The rise of playlists has meant lower sales in compilation albums. Remember those massive compilation albums that used to do huge numbers in the 1990s – though they still sell, the juggernaut that they once were is no longer a fact of life. Despite falling sales, compilation albums are taking up more of the album market. 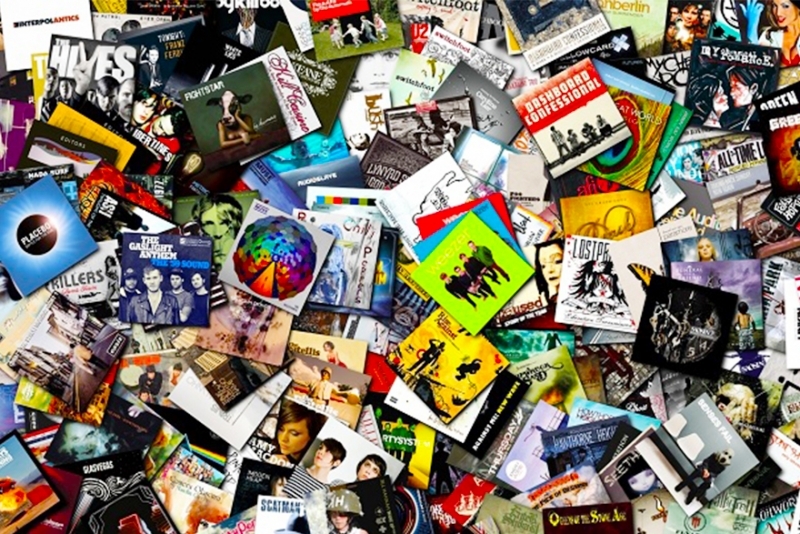 Due to the album market experiencing slow growth, compilation albums have actually risen in percentage of market share, rising from 21 percent in 2012 to as high as 27 percent in 2018. Vinyl sales continue to soar. After vinyl sales reached an all-time low in 2007, every year since then has seen vinyl records experience growth. This past year, vinyl sales saw the highest amount of units sold internationally since the 1980s. This marks a key trend for artists in vinyl-friendly categories of music. Most vinyl releases are older albums – not new releases. Percentage of units in vinyl LP sales reveals that less than 37 percent of vinyl sales came from new releases (i.e. music released in the past two years). The rest of vinyl sales are being generated from older albums (i.e. pre-2015). Male solo artists shift the most amount of albums – female girl groups sell the least. Delving into album sales by gender, it’s revealed that male solo artists sell the most albums with approximately 41 percent of all album sales being attributed to them. Next in line are male groups with 35 percent of all album sales, female solo artists with 17 percent, male-female groups at 4 percent, and female girl groups only comprising 3 percent of total album sales. Solo artists have outsold groups in album sales every year since 2009. Check out any chart from any part of the world and the majority of the highest selling properties on that list will be solo artists. Subscription streaming services are up 65 percent in sales while downloads have fallen. Subscription streaming services have continued to grow with each passing year with downloads falling out of popularity significantly. As physical formats continue to tumble with a fall of 7 percent in retail sales this past year, downloads have fallen worse with a loss of 27 percent in retail sales year-over-year. The total number of physical stores that sell music increased in 2016. The number of physical stores that sell music grew by a little bit but has largely remained stagnant throughout the past decade. Spotify and Apple Music gain in popularity; other streaming services falling behind. The penetration of streaming services such as Spotify (11.6 percent) and Apple Music (2.5 percent) continue to be strong in the streaming category whereby services such as Amazon Music, Google Play, Vevo, and Tidal are all far, far behind. YouTube has the most market penetration of any streaming service. Reaching the world can be difficult through any of the many streaming services out there, with the exception of YouTube. CDs have become more expensive. As the format continues to struggle to produce any significant sales growth, in response, companies have hiked the prices hoping to offset some of their losses. How do most people listen to music – surprisingly, still by radio. Analyzing the wide array of methods that people are listening to music, this reveals radio to still be most popular with 24 percent of consumers still using an FM/AM radio receiver. The remaining share of listening by method reveals other popular options in mobile (16 percent) and laptops (8 percent). Percentage-wise, single sales on the charts are up while album sales are down. No big surprise but singles are more popular today than they have ever been while albums continue to struggle to find an audience willing to buy them. Most people listen to their own playlists and not playlists given to them by a streaming platform. Examining listening by play type, more than 61 percent of listeners prefer to listen to playlists created by themselves. Only 24 percent of listeners regularly listen to playlists created by the platform and only 15 percent do the same with playlists curated by someone else. Strong sales in the music industry are easier to achieve when they fall in line with these trends. Though there are exceptions to every rule and trend, using these facts to guide a release strategy or to plan out where you want to be in the music industry can be a big help in being successful.